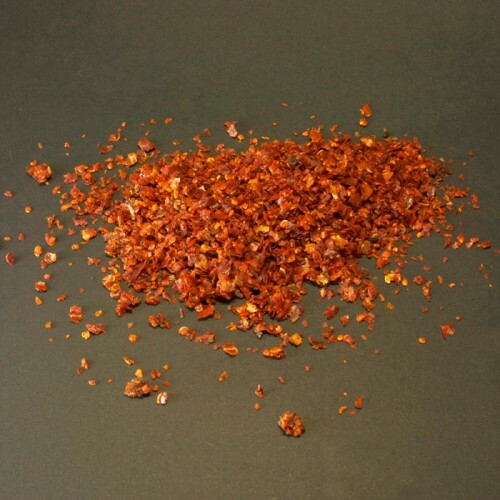 Info: Named after the Syrian town of Aleppo, but also grown extensively in Turkey just across the border, these wonderful chilli flakes will soon become a storecupboard essential. 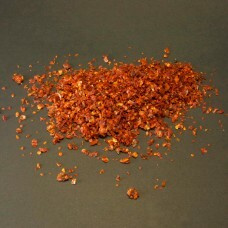 After drying for 10 days, the whole chillies are first deseeded and crushed and then dried further with salt, and rubbed with a little oil which imparts a rich red colour and delicious sweet flavour. Sprinkle into salad dressings, hummus, cheese on toast ... works beautifully with chicken, fish - well, anything really.